We have the 5th and 6th floor of a comprehensively refurbished serviced office in Hayes, set in a new landscaped business park within 4 miles of Heathrow, Europe's premier airport. Clients can enjoy the use of a on-site restaurant and modern reception area. 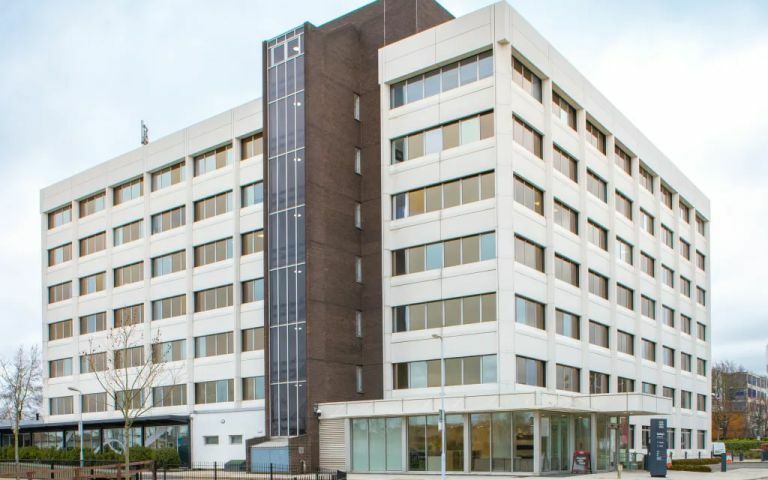 The Hayes serviced offices are available on flexible terms, with air conditioning, reception staff and support teams, kitchen areas, state-of-the-art technology and 3 meeting rooms that can cater from 2 to 100 delegates. The Serviced Offices in Hayes are located just 1.5 miles from Junction 4 of the M4 motorway, and offers easy access to Heathrow International airport, as well as the M25 and M40 motorways. Hayes & Harlington railway station is nearby, with routes into Central London and the Heathrow Connect Service. Many bus routes serve the train station, which is a 10 minute walk away. Hayes town centre is a 5 minute car journey away and has many popular restaurants, public houses, hotels, shops and supermarkets.